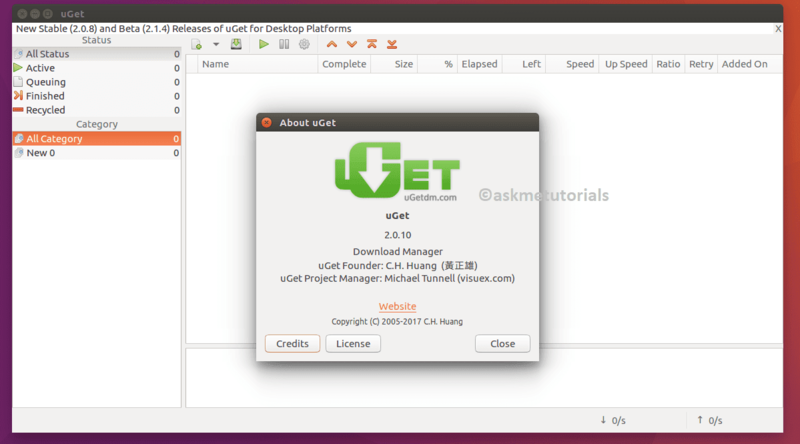 uGet team released a new version 2.0.10, It is an open source and famous download manager for Linux, It is easy to use and it automatically integrates with Browser Firefox and Chrome. It is based on GTKWith this download manager uget we can pause, stop and start the downloads. User can use sorting in any category and status. curl plug-in: It can use ftruncate() to create large file. Fix: uGet doesn't close File Descriptor when saving config file.